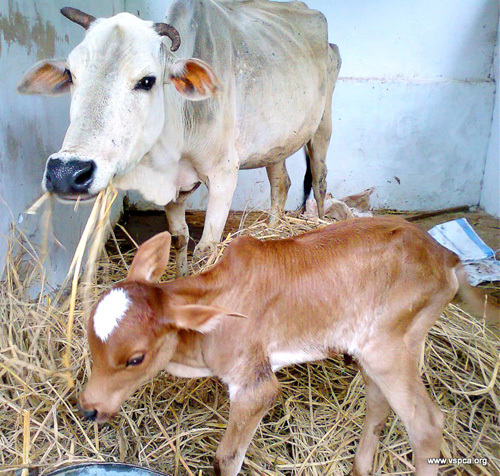 India: Visakhapatnum: Rescued cow and newborn baby safe and sound! When 54 rescued cows first arrived at the VSPCA, they drank liters and liters of water before even touching their food. They are now recovering from malnutrition, dehydration, and wounds. They were rescued from a lorry transporting them illegally to slaughter. On August 5, at Marikavalasa village, near Visakhapatnam, Andhra Pradesh, workers from the VSPCA (Visakha Society for the Protection and Care of Animals) Shelter encountered the lorry filled with cows, just four miles from the shelter. They had spotted some of the heads of the cows at the very top. The cows were in deplorable condition. The driver fled, and, with the assistance of the police, VSPCA shelter managers B. Sarada and Raj, were able to rescue all the cows, taking them to the VSPCA shelter. Happily, one of the cows, who was about to give birth, now has a healthy, adorable, newborn calf. Mother and baby are both doing fine, and will be able to live out their lives at the shelter. The VSPCA shelter cares for 1500 animals, including many rescued cattle, with the cows and bulls living separately. Every animal is valued and well-cared for. VSPCA’s ABC (spay-neuter) programs have also helped tens of thousands of community dogs in Visakhapatnam and surrounding areas. To visit the VSPCA website, click here. To visit the website of Help Animals India, which supports many Indian animal welfare groups, click here. 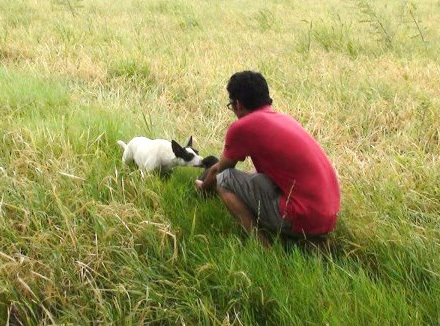 With Mr. Mohit and Mr. Sushant holding ropes, Dawn bravely went down into the well to rescue the puppy, bringing her safely out. In November 2011, a dog we later named Mazloom was found on the streets of Cairo with grave injuries to both back legs. We thought we had seen it all, but this was one of the worst cases we treated, and no one could even imagine what might have happened to him. 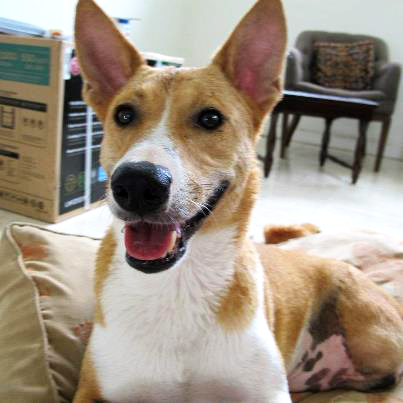 Mazloom underwent a double amputation and a long recovery at the ESMA shelter. Some called for him to be euthanized but we knew from our experience that he had a good chance for a healthy and fulfilling life with the right adopters. A long time supporter of ESMA, Tanya Mahrous of Atlanta, Georgia, and her family saw him on our facebook page and decided to open their home to Mazloom as foster parents in spring 2012. They created his own Facebook page that was constantly updated with photos and videos showing his amazing progress and personality. He caught the eye of Catherine MacDonald of Miami, Florida, and Mazloom recently settled into a happy life with his new family. Mazloom has a better life than we ever dreamed was possible. To read more good news about how ESMA is helping Egyptian animals, click here. To visit ESMA’s website, click here. 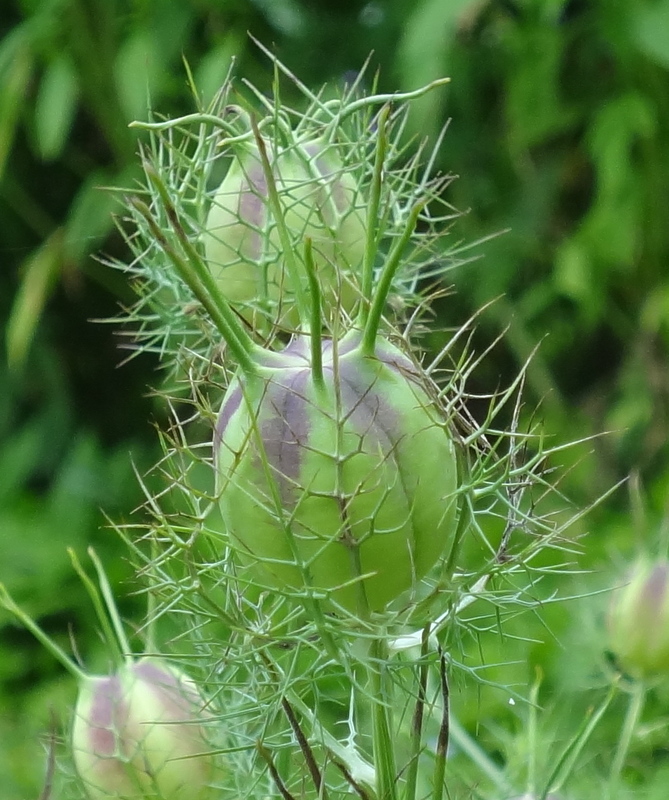 in the spiny pod with the crown of thorns? Varanasi (formerly written in English as Benares) is one of the holiest cities in India. The river Ganges passes through Varanasi, and pilgrims come from all over India to bathe in the waters. 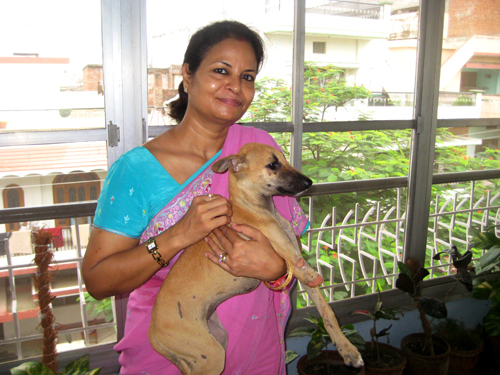 Abha Singh, who started the animal welfare organization Aashray for Animals is working hard to make sure that the animals in Varanasi are not forgotten; after all they are sacred too. “Here is Chamki with me. While driving down to my school, I saw a doe-eyed pup injured by the roadside. I reversed the car to get a closer look, and brought her to my home. 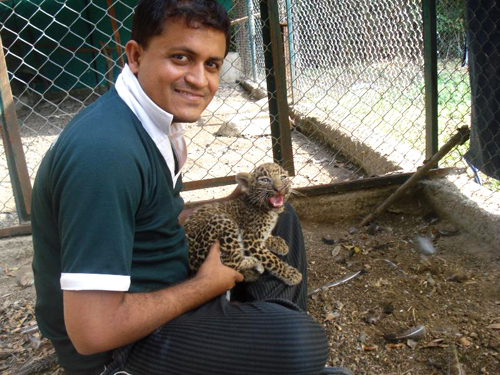 Help Animals India provides support to Aashray for Animals and to many other animal welfare organizations in India. To visit their website, click here. Help Animals India offers much needed support to Indian animal welfare groups in Bangalore, Vishakapatnam, Vanarsi, and a number of other cities and regions in India. These groups care for community dogs and cats, offering ABC (spay/neuter) programs and rescue for animals in distress. They also extend help to cows, bulls, horses, tortoises, monkeys, and others. 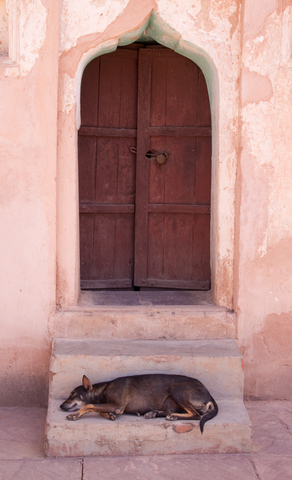 To find out more about Help Animals India or to donate, click here.